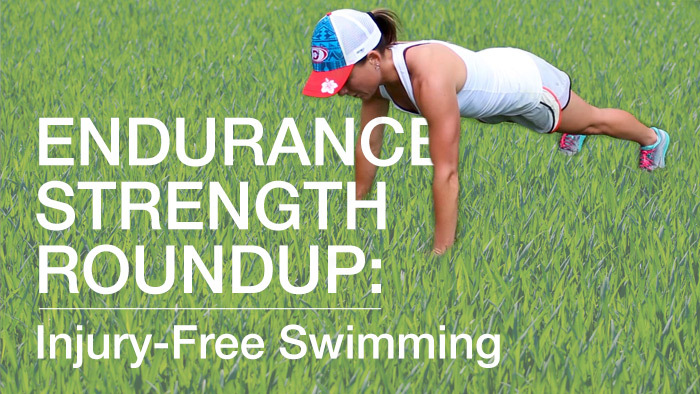 Welcome to the TrainingPeaks Endurance Strength Roundup video series. In each installment D3 Multisport coaches will show you quick, efficient movements with minimal equipment that are designed to be easily added to your multisport routine for increased strength, power and injury prevention. In this installment, D3 Multisport Coach Laura Marcoux will go over two shoulder exercises: the scapula push-up and “snow devils.” These two moves target the scapula, a wing-like bone that attaches the upper arm to the clavicle. A strong scapula helps you not only swim faster but also avoid common swimming overuse injuries to the shoulder girdle. To do these moves you’ll need one set of light dumbbells (between three and seven pounds each). Try to do three sets of 10 repetitions of each move two-to-three times a week for optimal results.